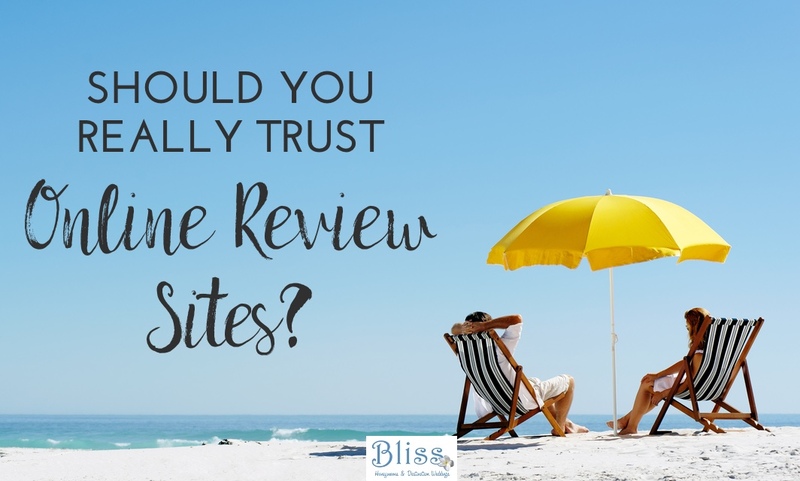 Should you really trust online review sites? 06 Jun Should you really trust online review sites? Many people utilize online travel review sites to help plan their trip. In fact, there are many people who rely on these sites as their sole source of information in travel planning. Travel is a discretionary expense. While we all dream of taking an extended vacation every year, the reality is that many people find themselves saving for months or even years to able to take the trip of their dreams. The idea of an online review site is a good. People helping other people learn more about the destination or hotel that they are considering traveling to. But unfortunately, there are many people who use these online review sites for purposes other than helping out their fellow traveler. We’ve heard from hotel owners who have had potential clients “blackmail” them into discounts by threatening to post a negative review on Trip Advisor. We’ve heard from another hotelier whose reputation was dragged through the mud online not because his hotel failed to provide clean rooms and great service, but because he refused to issue a refund to a couple that had a falling out while staying at the hotel. We even learned about a hotel owner in Greece who was trashed in online reviews for refusing to offer a free night. And even when the online review site was given documentation that the review was invalid, the review site refused to remove the review, despite the fact that the poster had never spent a single night there. Last year our team traveled to Mexico. Angel, our guide for the week, arranged tours of ten hotels that hold the highest ratings on Trip Advisor in the Rivera Maya region. While we were pleasantly surprised by some of our findings, and could see why a particular hotel or resort was so popular; in other cases we found dirty conditions and mediocre food in hotels that mysteriously carried high scores. We strongly recommend that you use a variety of resources when planning a trip. And while many people believe that a review site replaces the knowledge and experience of a great agent, consider this: a travel consultant is basing their professional reputation on the outcome of your trip. No one on an online review site has at much invested as your trip as your honeymoon planner does.